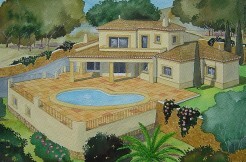 Beautiful newly built villa with modern style located in the area of Pla del Mar de Moraira. With many extras and high qualities: Krion-free bathtubs, Porcelanosa tiles, Italian toilets, Saltwater pool. Possibility to enable apartment on the ground floor. Almost ready to move in! ¿Do you want to sell or let? If you are thinking about the sale or rental of your property don't hesitate to contact us. We will give you the information about the procedure. In our estate agency, A.V. 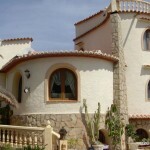 Costamar S.L., we have a large professional experience and we can simplify the purchase of every kind of property. We provide you and extend selection of real estates between you can choise and we also provide you the development of new constructions: the home of your taste.